On this Christmas paper, several crosses are set against an ornate background. White snowflakes fall across the Christmas paper, interlaced with winding white lines. 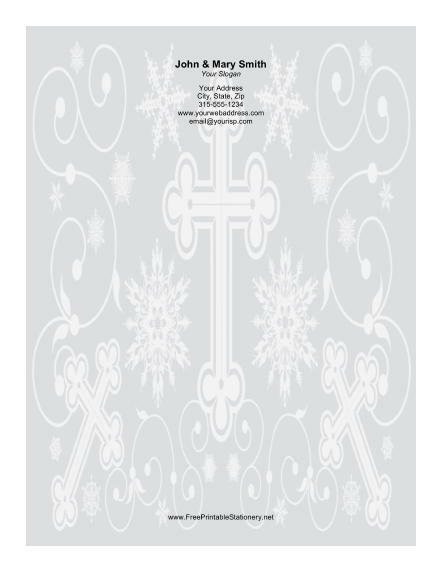 This Christmas paper is a great way to say Merry Christmas to the people you cherish.